Every family unit - whether they realize it or not - is heading somewhere. But very few families go someplace on purpose. What could it look like if your family had a clear goal and mission? A culture that was healthy? What if - together as a family - you developed a vision that came from your family of origin's unique past but also looked toward the future? For the past year, Westgate Church's Student Ministries has been part of Fuller Youth Institute's Sticky Faith Ministry Cohort. Our pastors met with Fuller's staff to examine and analyze the latest research and determine the best practices to help churches partner with families to help them create and develop that vision. Eat dessert together as families. So. 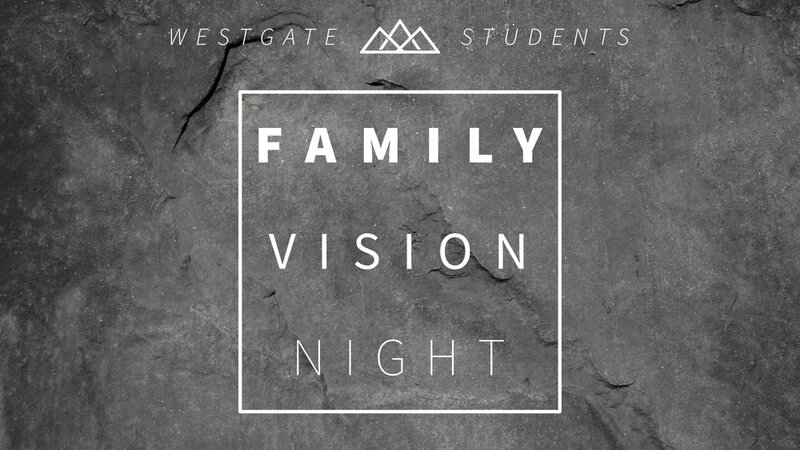 Bring a dessert made by your family (and at the end of the night, we'll give out prizes to the Best Family Dessert). But also come and have fun, connect with other families and be inspired to invite God to help your family. Because, again, God knows we all need a little help. NOTE: This event is designed for the whole family, but if you’d like, we do provide childcare 4 and under. Just fill out the form when you RSVP.